DESCRIPTION: 106 Triangular Concealer from M.A.C. is a brush that features a triangular shaped head and a flat, sloping edge. It was equipped with soft synthetic bristles that skillfully collect and distribute the product for a quick and uniform application. 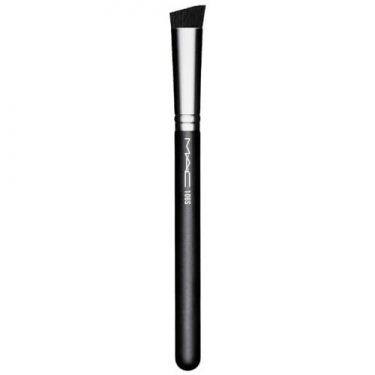 Ideal for larger and smaller areas of the face, it lets you create a smooth and flawless makeup foundation with ease.